Are you preparing for Brexit? 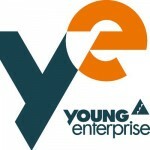 The Herefordshire Young Enterprise finals were held on Thursday 26th April. A very well attended event saw the Young Enterprise companies presenting to a full theatre at Hereford College of Arts.